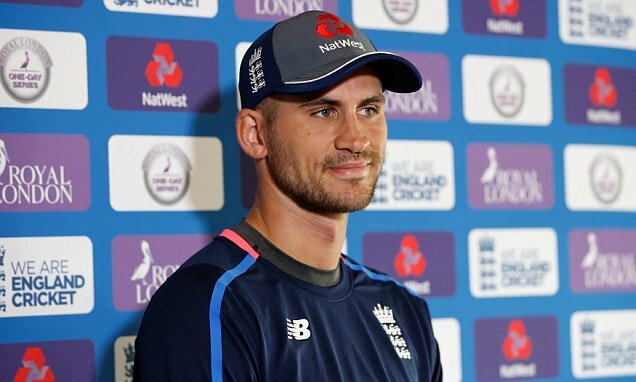 Daily Mail UK – Alex Hales needs only to recall the last one-day international on his home ground for the inspiration he must find to avoid becoming the odd World Cup man out. Alex Hales needs only to recall the last one-day international on his home ground for the inspiration he must find to avoid becoming the odd World Cup man out. It was at Trent Bridge in 2016 that Hales hammered a then England record 171 against Pakistan and looked certain to open the batting in all white-ball cricket until next year’s 50-over World Cup and beyond. ‘I’m in a position where I’m on the fringes and have to take any chance I get to put pressure on’ said Hales ahead of a third international where England can wrap up another series victory. England will never have a better chance to not only defeat Australia but inflict a first ever 5-0 one-day whitewash on a team who have lost 13 of their last 15 50-over games to slip to sixth in the world rankings, their worst for 34 years. One player England desperately need back firing in time for the World Cup is Chris Woakes who was yesterday ruled out until at least next month’s one-day series against India with a ‘chronic’ knee injury as well as the torn thigh he suffered in the second Test against Pakistan at Headingley.